An introductory text on research methodology from one of the acknowledged masters in the field. 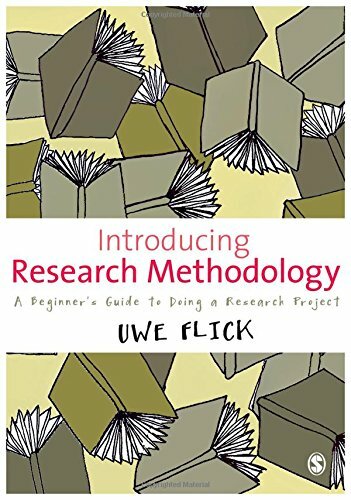 In this new book, specifically written for first time researchers, Uwe Flick, author of the highly successful Introduction to Qualitative Research, focuses on the process of producing an undergraduate research project. Introducing Research Methodology: A Beginner's Guide to Doing a Research Project gives readers the fundamental data collection and analysis skills that they need for their first project, as well as a good understanding of the research process as a whole. It covers both quantitative and qualitative methods, and contains lots of real life examples from the author's own research. Its contents include: - reading and reviewing the literature - research design - writing up - research ethics As well as practical research techniques, Flick provides a basic explanation of methodological issues such as epistemology, the quantitative/qualitative debate and the wider social role of research, linking these to real world issues and examples and the actual task of researching and writing a project.